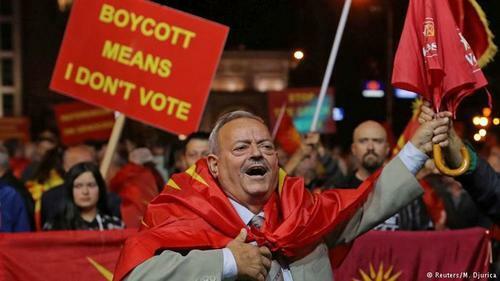 Nearly two-thirds of Macedonian voters boycotted the faux referendum for changing their country’s constitutional name and facilitating its entry into NATO, yet the vehemence with which the bloc is still trying to get them to join exposes its Hybrid War and anti-democratic modus operandi. 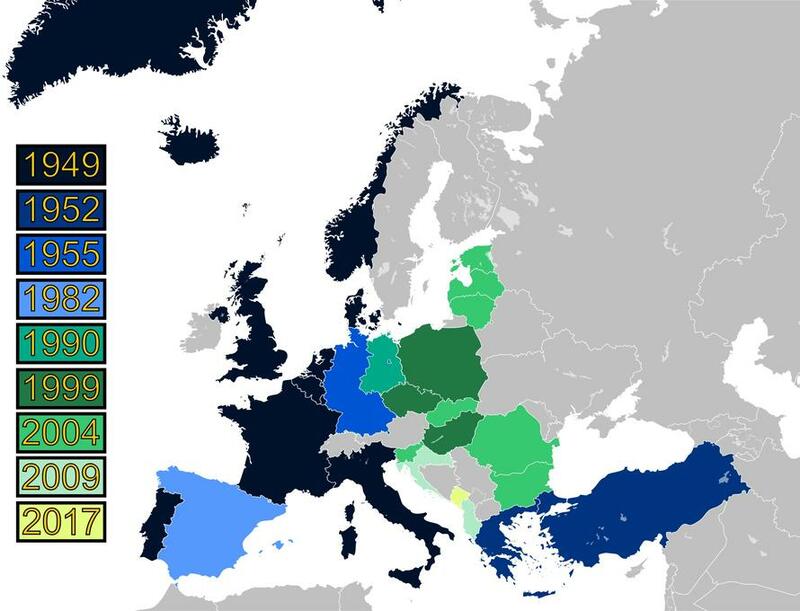 With most of Europe under America’s military control through NATO, it makes many people wonder why the organization is so vehement to see the tiny landlocked country of the Republic of Macedonia – which has a comparatively insignificant military as it is – join the bloc that around a dozen high-level state and military representatives travelled there last month to endorse the “name change” referendum that would subsequently facilitate its rapid entry into the group. Expanding just for the sake of it is one of the most popular explanations, but there’s actually a bit more to it, too. A lot of commentators like to remark that Macedonia’s membership in NATO would complete the military encirclement of nominally non-aligned Serbia, though that’s a fallacious point because Russia’s top Balkan partner is already practically surrounded as it is and Macedonia isn’t going to make any relevant difference in this respect. The real reason is that NATO needs to regularly experiment with meddling in societies, and there’s no easier target than aspiring members like Macedonia. Perception management, infowars, and other forms of Hybrid Warfare are becoming just as important for the bloc’s operations as conventional war games. NATO is merely projecting itself onto Russia whenever it accuses Moscow of these activities because it’s looking to frame its rival for any and all evidence that can be procured of it doing these very same things itself, which is becoming increasingly common to learn about in today’s interconnected information age because of social and alternative media. Another difference between the past decades and now is that Macedonia is a very special case seeing as how changing its name – and consequently, very identity – is a prerequisite for joining because of Greece’s long-lasting objections, meaning that the parliament couldn’t be bribed or intimidated like in other cases. 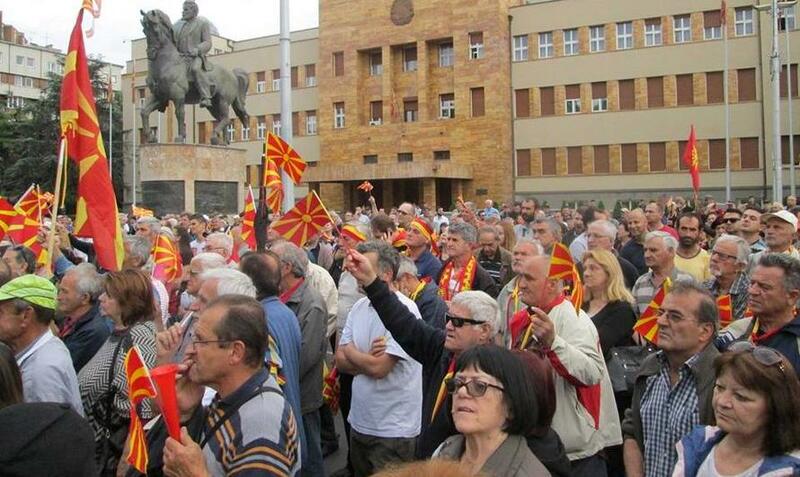 A referendum had to take place to change the constitutional name of the country, meaning that at least the superficial motions of democracy had to occur even though the results were never meant to be respected, but were instead manipulated by NATO as “proof” of the country’s desire to change their name even though the vote didn’t meet the minimum turnout as mandated by Macedonia’s own constitution to be legal. In their haste to manipulate society and experiment with Hybrid Warfare on their hoped-for newest member, NATO’s perception managers overlooked just how obvious their actions had become. Inadvertently, NATO drew attention to its anti-democratic expansion between the two Cold Wars by behaving so arrogantly after the failed Macedonian referendum. The bloc has no practical reason to admit Macedonia other than to send a message to Russia, Serbia, and even its own fellow members about its continued “relevancy”, but getting the country to join is a good Hybrid Warfare exercise for training NATO’s information warriors. It could also lead to the recruitment of more de-facto mercenaries to contribute to fighting the US’ wars abroad. Either way, the main takeaway is that NATO clumsily overstepped in Macedonia and ended up showing its Hybrid War and anti-democratic hand.